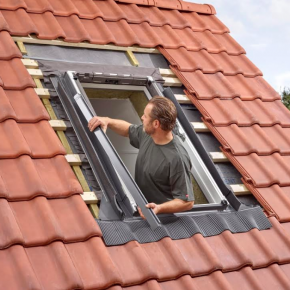 The promotion will reward installers, builders and homeowners throughout the UK and Ireland who choose VELUX white-painted products. The rewards of £25 in the UK are redeemable at a whole host of big name brands, including M&S, Argos, Thomas Cook, Curry’s PC World and Tesco. 30 April is the cut off point to purchase white-painted roof windows; ideal for homeowners seeking a lighter, brighter living space. This offer includes the complete VELUX range, available in white-painted, from manual, centre-pivot and top-hung standard to its remote controlled VELUX INTEGRA® roof windows.